Mainstay for the national passenger rail service, model 75BC45. This unit operates from the trains head end power 480VAC, maintaining the battery and feeding the 75Vdc car loads simultaneously. The rugged under-the-car unit is the most widely used transit charger in the industry today. 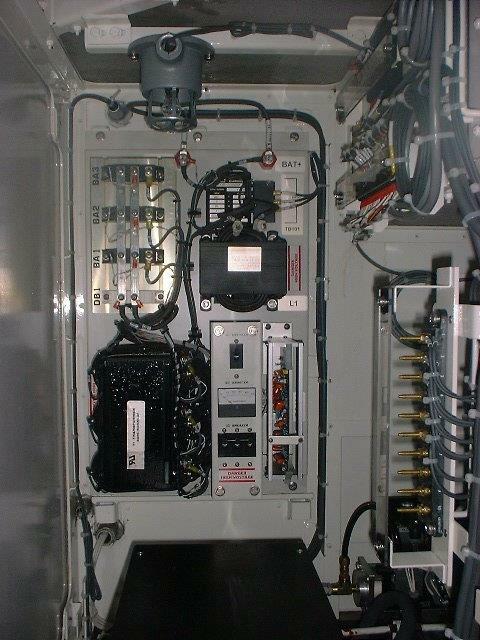 Typical chassis mounted charger for mounting in an equipment locker. 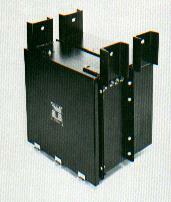 The unit, model RTA38-35ABC, operates from 480VAC and provides 32VDC, 40 amps. 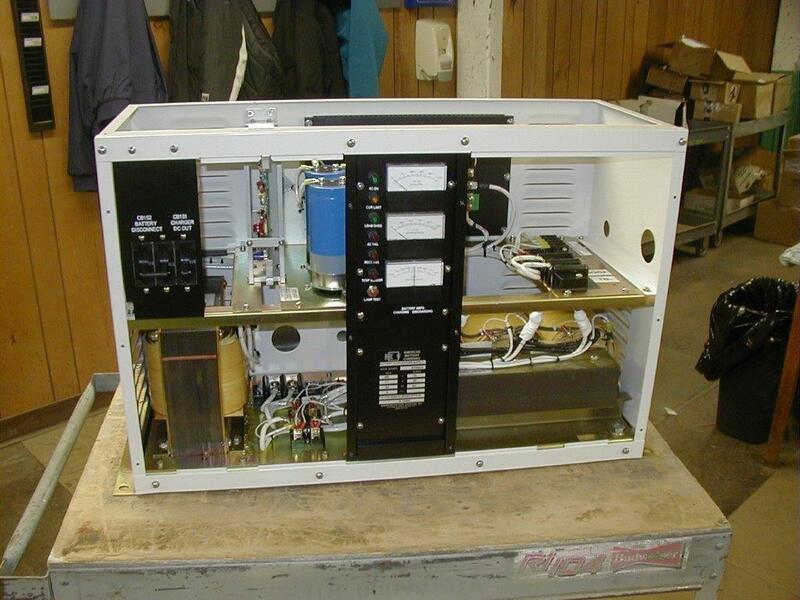 This unit replaces earlier battery charger/low voltage power supply units used on superliner cars. Model RT75-80 operates from the trains head end power 480VAC, maintaining the battery and providing the 75VDC car loads simultaneously. 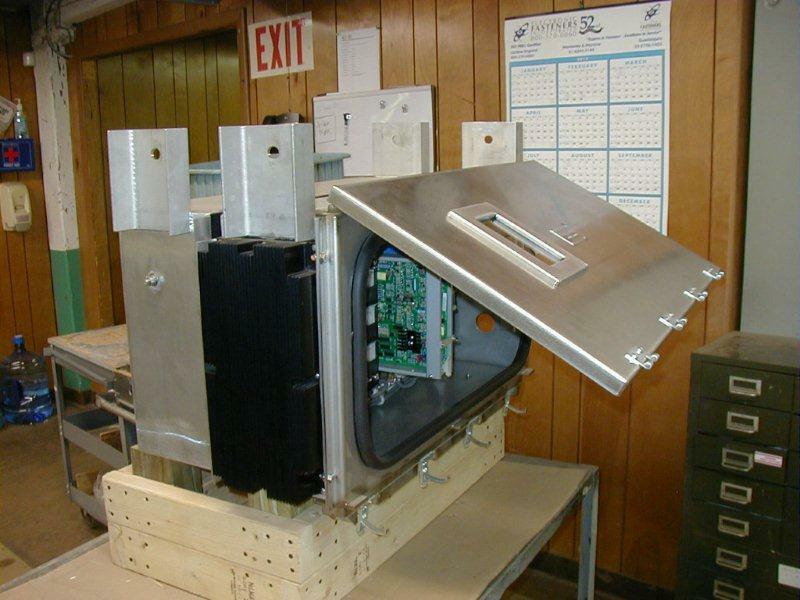 The unit is mounted in an equipment locker. This charger is the under-the-car version of the RT75-80. This newly designed unit is being provides for the new Amtrak long distance single level cars. 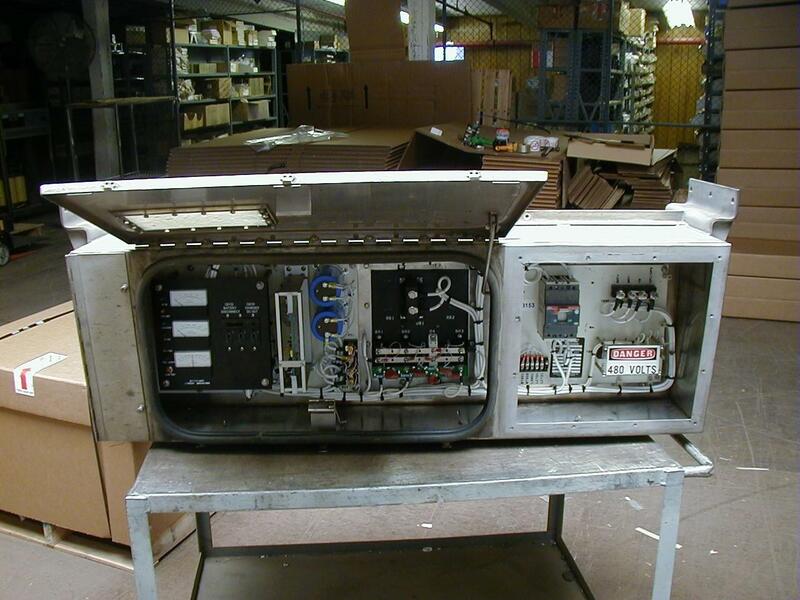 This earlier version of the RT75-80UC was a refurbishment of older battery charger/low voltage power supply units.